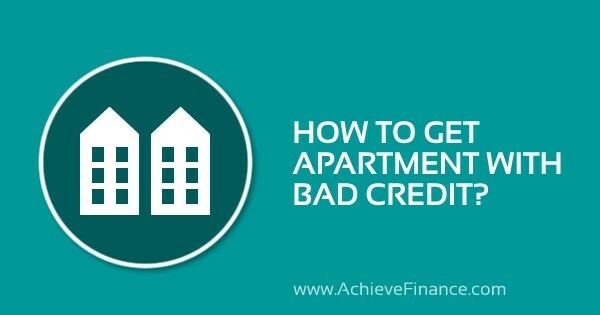 How To Get An Apartment With Bad Credit? When it comes to looking for an apartment for rent with your bad credit, you might feel a little stressed out for bad credit can affect the rental process in a major way. In fact, you may even be denied the rental of a specific apartment due to your poor credit score – even with perfect rental history and reasonable salary. If you’re dealing with bad credit and are afraid that the latter will prevent you from obtaining the apartment you desire, then keep reading – you have options! If you’re in need of a little extra money in order to sign your lease, an installment loan online for bad credit may be a good option for you. Your first step in obtaining the apartment you want is presenting your potential landlord with recommendation letters. Such a letter can come from several sources, including previous landlords, roommates or even your bank establishment. The objective here is to demonstrate that you are responsible and fully capable of paying your bills on time. Furthermore, your employer can write a letter informing your potential landlord of your stable revenue. As a first step, this helps demonstrate to your potential landlord that you’re serious about renting responsibly. More so, not only are you easing your landlord’s mind, arriving prepared for your apartment appointment will increase your chances of creating a responsible impression. It’s important to be completely honest with your potential landlord. There are many reasons as to why you may have a bad credit – and you should take the time to explain the latter. Perhaps you made a poor financial decision previously, your credit utilization may appear very high or there might even be a mistake amongst your report! A landlord’s rules and requirements are not necessarily set in stone, as long as you can explain your situation and provide the supporting proof. Keep in mind that generally, this tactic works best when dealing one-on-one with an individual landlord rather than trying to rent with a large management company. 3. Paying Upfront can go a Long Way! As you probably already know, having a low credit score presents potential risk to any provider – landlords included. In the case of renting an apartment with a bad credit rating, it is possible that you be requested to pay a security deposit. You can also consider signing a month-to-month agreement or a three-to-six month lease. If you have a poor credit score, your potential may feel comfortable knowing that they “have an easy way out” in the case that you don’t pay as agreed. Requesting a 12-month lease can be done later on, once a relationship has been established with your landlord. In certain cases, it may be possible that you be requested to pay a higher per-month fee. In all such scenarios though, paying a little more can go a long way – let’s face it, you just may be signing your dream lease! You can always can always call on a little back up if all else fails: a co-signer. The important thing here is finding someone who has a good credit score and who is, of course, willing to take responsibility in the case you struggle paying for rent. By having a co-signer, your potential landlord may feel there is less risk in signing a lease with you. Insider tip: Landlords adore receiving rent payments automatically. You can offer your potential landlord to set-up automatic payments for the first of the month when it comes to rent. In other words, your landlord’s bank automatically deducts a specific amount from your bank every month. This can usually be completed online, however, you can equally offer post-dated checks for the duration of your lease. If you’re choosing this route, keep in mind that demonstrating a responsible payment track record is very important. If you’ve had many difficulties paying on time in the past, you landlord may remain reluctant in signing a lease with you. However, if you come prepared with proof of a steady income, you’re definitely increasing your chances. Now, at first glance, this may seem unrelated, however having both a checkings and a savings account is actually very important. When it comes to dealing with a low credit score, having a big salary doesn’t always cut it. Being capable of proving to your potential landlord that you have money set aside is a huge plus and can really set your landlord at ease, seeing you as less of a risk. If you don’t already have a savings account, it’s a good idea to start building one as soon as possible – and to keep building it long term! One of the easiest and simplest ways to sign a lease with a landlord when facing a poor credit score is to search for an apartment landlord that doesn’t perform a credit check. If this is what you’re looking for, aim for apartments owned by individual renters. Such landlords have less of a tendency of performing credit verifications and usually more willing to take a risk in order to fill their apartment complex. On the other hand, large management companies are generally harder to deal with and performing a credit verification is much more standard. 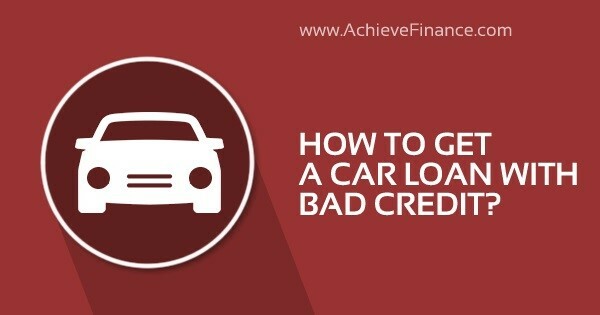 Obtaining a car loan with bad credit is nothing short of difficult – but it is totally possible. Remember that you have to go into the process with the right facts in mind: You’re going to be paying higher interest than someone with a good credit rating. However, don’t let that come as a discouragement just yet – bad credit installment loans online with guaranteed approval can possibly come to the rescue! It’s time to look at the detailed procedure of obtaining easy car loan approval with bad credit in order to finance your next vehicle! So, you’re thinking about purchasing a new vehicle? Before anything else, check your credit score! Even if you’re still months away from physically purchasing the car, you definitely want to start cleaning up your report before requesting a loan. By doing so, you’re certainly going to improve your chances of being accepted for said loan under good terms. In order to “clean up” your credit report, you need to pay off late accounts, discussing credit errors and increasing the positive information found within your report. Another reason why verifying your credit score right from the start is in order to visualize exactly what needs improving. It’s actually possible to find credit errors dispersed throughout your credit account and it’s important that you dispute these. In general, you should give yourself a 30-day grace period in order to have these mistakes looked at and fixed if necessary. On the other hand, if your credit rating isn’t that bad, then cleaning up is in fact still a good idea. As we mentioned in an earlier article, a good credit rating is market at 700 or higher and by cleaning up your credit account, you just may get pushed over that line! Like with everything, being well aware of your actual financial budget is a must. Knowing exactly how much you can spend per month on a vehicle will give you a better idea of what car models you can start looking at and which ones you should stay away from. You can also go deeper into your research by looking at average auto loan interest rates and the car’s cost – this will provide you with a better basis for negotiation. As you can already start to see, purchasing a car and obtaining a car loan are not out of reach, even if you are dealing with bad credit. Just make sure your using your time wisely! One of the simplest ways to be approved for a car loan with bad credit is through the use of a co-signer with good credit. In the eyes of a lender, a co-signer decreases the risk of lending to someone with bad credit. Although your co-signer is definitely assuming responsibility by signing for a car loan with you, you may actually be capable of obtaining a better interest rate! Sometimes, it becomes easier and more realistic to car shop with a pre-approved loan. When discussing with your bank or credit company, don’t forget to question the possibility of taking the pre-approved route. However, this isn’t always possible and if this is your case, you can always discuss different options with your car salesmen. They may have further information on who, or where, you can contact a lender who works with buyers dealing with bad credit. 6. Take the time to negotiate! Let’s face it – you’re not alone in this world with a bad credit score and this is a good thing for you! In other words, you don’t always have to settle for the first “deal” that comes your way. Saving money is possible if you take the time to negotiate a little, especially when it comes to interest rate, annual percentage rate, loan length, repayment penalty and even other additional fes. A down payment can help in many ways – especially if you can afford one. First of all, not only does this cash go directly towards decreasing the total amount owed on your vehicle, this money is equally interest free. Furthermore, your lender will definitely take your down payment into consideration when weighing the risks of providing you with a loan – even if you have bad credit. Moreover, the down payment will reduce the size of your monthly payments and can even be the deciding factor in obtaining the car loan that your looking for! 8. Say “NO” to the extras! Alright, if you’re dealing with bad credit, you might have to make a few sacrifices. When applying for a loan, you may not be approved for the highest possible amount and therefore, certain features such as leather seats, a sunroof and air conditioning may have to be crossed off your list. Keep in mind that because of your poor credit, you’re already facing a high interest rate so make sure you know how to say “No” when need be. In the end, you can buy a car with bad credit if you follow the above steps to the T. Keep in mind that looking at all your options, fueling up on important research and refusing extra add-ons can really save you good money when it comes to purchasing your vehicle. Whether you’re dealing with bad credit or not, budgeting your finances properly and being fully aware of what you can genuinely spend is the first step in purchasing your new ride intelligently. 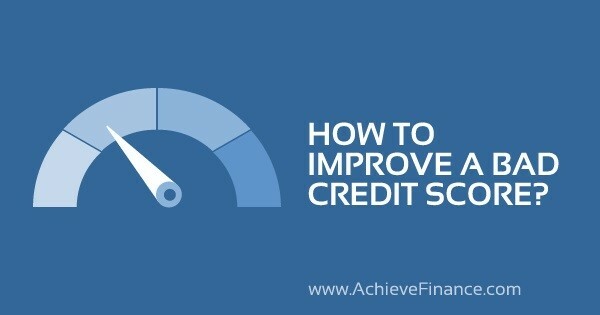 In many ways, improving a bad credit score is like losing weight: It takes time and energy and there isn’t a miracle solution to bettering your credit score. You should beware of proposed “quick-fix” remedies because they have high chances of backfiring on your and making your situation worse. Rebuilding credit score requires time and effort, all while being properly managed over time. If you’ve failed to keep an eye on your credit over the years, than credit score improvement is the way to go. If your credit score is low and you aren’t getting the needed approval for credit cards or favorable interest rates, you may want to think about applying for a quick personal loan online for bad credit. If you aren’t already aware, you should know that credit applications can be seen on your credit report – such is an indication for new debt. In most cases, it’s best to use existing credit in order to demonstrate long term capacities in managing credit. Avoid fraud. Early warning signs of fraud are most likely to be seen in your credit report and accounts. For this reason, it is important to regularly verify the latter in prevention of possible fraud. Avoid credit mistakes. Equally by monitoring your credit accounts and report on a regular basis, you will be able to make note of, and take care of, and possible credit mistakes. Only apply for credit/open new credit accounts when needed. As earlier mentioned, hard inquiries can be seen on your credit report and can directly affect your score. Furthermore, having too much credit can be enticing, causing you to overspend and accumulate much more debt. Leave unused credit accounts open. Of course, this means knowing how to refrain from using such accounts, but such credit accounts add to your overall score. Moreover, having unused credit accounts demonstrates a low credit usage. Despite the fact that many elements come into play when discussing credit score, certain factors are of greater importance. Of the list, payment history and credit utilization ratios are the most critical elements in many credit scoring models. Together, they can make up 70% of your credit score – their impact is huge. It may be considered one of the most important factors, but what is credit utilization ratio exactly? Simply put, this rate is calculated by dividing your total credit debt by your total available credit. Most models take into consideration your overall credit utilization rate, which calculates your ratio across all accounts, as well as rates for individual accounts. Generally speaking, a lender appreciates low rates of 30% or less. More so, the individuals with the best credit scores are often those who have low credit usage which also demonstrates available credit on cards and responsible credit management. Become an authorized user on someone else’s account who uses credit appropriately. Although opening a new credit account may increase your overall credit limit, the credit application itself sets as a hard inquiry on your credit report. As earlier mentioned, to many of the latter and this can negatively affect your credit report – remaining on your report for two years. Although the mark fades over time, you should only open a new credit account when absolutely necessary. In general, your past payment history is a good indication for lenders on how you will manage future payments. When a lender reviews your credit report, payment history is one of the first things they take a look at. One of the best means of positively influencing this credit element is by respecting all your repayment schedules in terms of your credit accounts. Both late payments and paying less than the required minimum will directly affect you in a negative way. Of course, when it comes to paying bills on time, you want to ensure that all your payments are respected and on schedule. This includes your rent, utilities and even your phone and cable bills! You can always reach out to services at hand including payment applications and calendar reminders to make sure you always stay on track! Is Rebuilding Credit Score a Lengthy Process? Ultimately, there is no “quick fix” and the saying: Time heals all is rather appropriate here. When it comes to improving credit score, time is of the essence and sometimes, all you can do is pay your bills on time and wait patiently. Delinquencies equally remain on your credit report for 7 years. When it comes to improving your credit score, acting wisely is important. Take your time, for time is actually to your advantage. Work on one issue at a time and make sure that you discuss and possible credit mistakes on your report! Whether you’re ready to admit it or not, most of us are on the quest to looking our best and sometimes, plastic surgery can make a world of difference. Although change can be exciting. Elective cosmetic surgery is not free of charge. If you’re worried about how you’re going to finance plastic surgery – don’t sweat it just yet. Several options are available to you, including an installment loan online for bad credit. 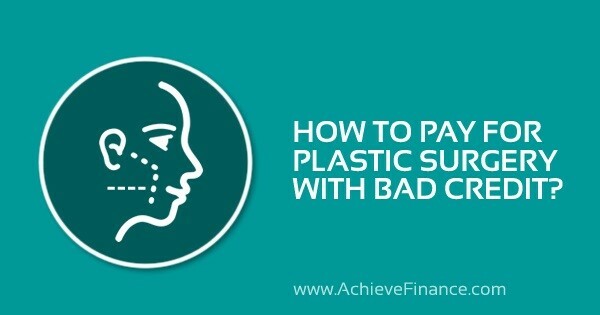 Find out more about how you can follow through with your plastic surgery plans, even if your facing bad credit. So, you’re considering plastic surgery? Well, first things first – you’re not alone. In 2017, more than 17.5 million procedures were completed in the United States and this number is only increasing. In turn, The American Society for Aesthetic Plastic Surgery states that Americans as a whole spend $8.5 billion a year on said procedures. Financing Plastic Surgery – What are my options? In order to better decipher the cost of plastic surgery, you should begin by determining whether your surgery is elective or not – or in other words, whether or not the cosmetic surgery is a need. Of course, one way or another, plastic surgery is quite expensive – therefore, keeping the costs to a minimum is a must. Are you thinking of a personal loan for plastic surgery? Well, there are a few things you should be aware of. First off, you should note that an unsecured loan from a financial institution will present interest rates that are close to or more than those on a credit card. On the other hand, bank loans have fixed interest rates as well as a specific period of time for repayment. Of course, all this depends on one’s credit rating and one’s ability to qualify for said loan. On top of all that, if you’ve never requested a personal before, such may actually increase your credit worthiness by adding to your “credit mix”. You must repay your loan properly and on a timely schedule and unlike a credit card, you can’t add more to your pre existing debt! Although interest rates vary depending on one’s credit score, it is important to keep in mind that an unsecured loan will undoubtedly add to your final cost of your plastic surgery procedure. If you’re interested in looking for a lower interest rate, then you may want to start looking into a secured loan. A secured loan means you offer a collateral against the loan, such as a vehicle or a house. If you end up being unable to make your payments on a regular basis, you may end up losing said property. You may not know it yet, but certain surgeons offer their own financing plans based on third party financing companies. Said options can include low monthly payments as well as extended payment plans – which are generally quite appealing. When discussing with your surgeon, look at the different fees and interest rates. Many of them are actually quite competitive but beware, some can actually be more expensive than a traditional credit card! If you’ve decided on one of these financial plans, it is still mandatory that all your payments be made on time. In most cases, a late payments incurs a higher interest rate for future payments or balance-based penalty. As surprising as it may sounds, using a new or existing credit card may actually be your best bet. In fact, may credit card companies offer a 0% introductory annual percentage rate (APR) and even certain reward points that can be accumulated for later vacation or cashback. Knowing your current credit score is probably the most important factor here. This is true because if you can qualify for a 0% APR balance transfer card, then you could pay off your debt within the introductory grace period and completely wave the interest fees as a whole! Can my Insurance Cover my Plastic Surgery? One doesn’t need to pay for all types of plastic surgery. In fact, certain cosmetic surgeries are entirely medically justified and are therefore usually covered by insurance companies. For example, health related procedures such as a patient with breast cancer or a surgery improving physical function may be covered. More so, patients with respiratory problems may have see health insurance pay for a nose job, or a breast reduction may be paid for in the case of a patient with back pains. Instead of freaking out right away at the costs of possible cosmetic surgery – take a look at your different options and while your at it, why not contact your insurance company at the same time? How to Select the Best Financing Plan? Before you drop the idea of elective cosmetic surgery completely, keep in mind that you genuinely have several options and that no matter what other people say, if it’s going to make you feel more confident – it’s probably worth it. On that note though, there’s a huge difference between negating the idea and setting money aside in order to have the significant funds to move forward with the procedure. Again, certain individuals will find a certain worth in saving up their finances and waiting for their plastic surgery while others would prefer to move faster and select instead a financing plan as discussed above. Both decisions are good decisions. One way or another, when it comes to plastic surgery, you should start by consulting a surgeon and/or patient care coordinator in order to discuss all the important details that surround such procedures! 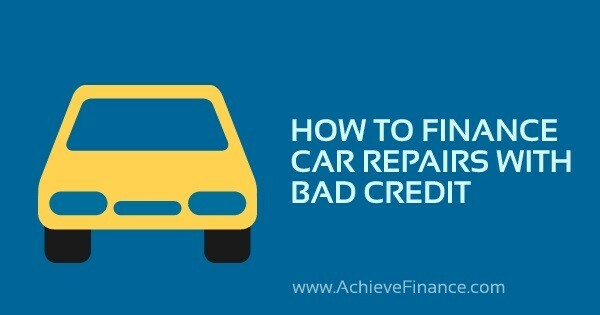 How To Finance Car Repairs With Bad Credit? Let’s face it – your car is pretty important to your day-to-day life. Not only does it get you to and from work, but having a vehicle allows you to get your errands done in a timely fashion and even helps in having a social life. For all the above reasons, it’s pretty clear that your car needs to stay in good working order. However, what happens if your car needs urgent repairs, you don’t have the money up front and worst of all – you’re dealing with bad credit? An unsecured installment loan online for bad credit may be your best bet. No Credit Check Auto Repair Loans, really? When it comes to urgent need of car repairs, many individuals get caught up with no credit check loans. These types of loans are obtained through providers who don’t perform a deep credit check in order to evaluate your credit report. However, the truth of the matter is that these no credit check auto repair loans are misleading and unreliable. A credit analysis is performed in order to reduce the risk of loss for the provider and all authentic short term loans will require a sort of evaluation, be it a soft or hard credit check. Ultimately, requesting and obtaining funds for auto repair with bad credit is quite possible. In most cases, providers focus on your income rather than your credit score. Overall, it’s very important to have proof of steady income. Although an accident insurance is optional for most car insurance programs, obtaining one can be rather beneficial. Such an insurance covers the cost of repairing your car damage, whatever it may be, as long as the damage originates from a collision. In this scenario, one only needs to pay the deductible. Generally speaking, a new vehicle is usually covered by both manufacturer and dealer warranties. Such warranties cover mechanical issues and recall problems. This type of program is usually based on distance travelled with vehicle or a certain number of months. This type of guarantee is set out to cover used vehicles, providing limited coverage for specific auto repairs. Such a program can extend a pre-existing warranty however, they can also be provided as a new guarantee on an used vehicle. As earlier mentioned, your car is high up on your needs list and having it repaired as quickly as possible is important. However, don’t rush and choose the first garage you see to have your car fixed. In general, you want to obtain a minimum of 3 different estimates stemming from different credible locations. You can express that you are comparing prices and question any possible rebates. When it comes to having repairs done that are covered by your insurance company, the damage will be evaluated and you will be compensated accordingly. Generally speaking, your insurance company is obliged to let you choose where your vehicle is repaired. If the price in a garage still appears out of budget, then you can always look into technical or vocational programs near you. If the school uses vehicles for instructing their students, then it may be possible to work out a deal to have your car used in their classroom. In most cases, you are only charged for parts. Still though, it is important to beware of what schools you choose to work with. Be hesitant of any school that mentions waiving your deductible – this isn’t usually legal. Although it doesn’t necessarily mean unethical business, its reason enough to be weary. On the other hand, many companies will jack up the price of repair estimates to obtain more money from insurance or will install inadequate parts on your vehicle in order to make up for the money they’ve saved you. A credit card is a last and plausible option, especially if you don’t have friends or family that are willing to lend you money interest-free. In fact, a credit card can be quite beneficial when it comes to auto repairs, especially if your credit provider offers a guarantee against poor repairs. Although you will probably end up paying interest when using your credit card, many individuals assume that such a cost is worth having their car back in working order. If you are choosing to go the credit card route, make sure you’ve previously worked out a repayment budget. Although using your credit card can be a good idea, requesting credit card cash advances is not. Cash advances are attached to high interest rates and don’t offer purchase protection. More so, the interest charges are applied on day one of the transaction while with a regular credit purchase, you’re provided with a grace period of approximately 21 days prior to being charged interest. 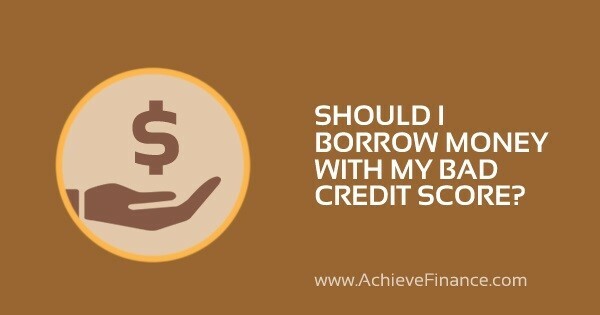 Should I Borrow Money With My Bad Credit Score? No one is immune to financial disaster and many of us have probably all caught ourselves thinking: “I need to borrow money now with my bad credit“. You might also start to panic due to the fact that you have a poor credit score – but before you do – keep reading this article. So, if you find yourself in a situation similar to the one described above, how do you borrow money? First things first – it is going to be more difficult! Now that we’ve gotten that out of the way, let’s make something clear, it’s NOT impossible. To the contrary in fact, there are ways to obtain a loan even if you have a negative credit or FICO score. In reality, bad credit can actually be accepted in several different scenarios – both for secured and unsecured loan products, too. Do you Have a Viable Reason for Borrowing Money? Basically, now is the time to ask yourself if you’re borrowing for the right reason. Are you borrowing money so you can spend it on something, or is it in order to improve your credit score? Keep in mind that one of the only reasons a person with poor credit should be borrowing money is to better their credit score. Any type of credit loan should uniquely be used to pay off the most urgent debts or to help create a positive repayment schedule and increase your credit rating. If you’ve decided to take out a loan in order to pay off a few of your most important debts, than consider the consolidation loan. Such is one of the most common loans requested by individuals having difficulty with many payments and desire to have one monthly payment instead to pay everything off at once. Doing so, this process will equally help improve your credit rating. Requesting a loan and using it to build a gameroom in your basement is probably not your best bet. In fact, doing so would be putting you back on the exact same path that gave you bad credit in the first place. If you can’t afford to pay for the renovations out of pocket, than you simply can’t afford it and the outcome will result in heavier debt and an even lower credit rating. You should always be careful when it comes to borrowing money with bad credit. For example, borrowing money to pay of debt can lead to a vicious cycle of borrowing more money to pay off new debts and so on and so forth. As the saying goes, “there’s no use in robbing Peter to pay Paul”. In other words, the above situation only leads to more debt and a rapid decrease in credit score. Requesting a loan with bad credit is, of course, more expensive. It is only natural that if you’re going to borrow money with a poor credit rating, then lenders are going to offer the highest interest rates possible. Depending on what percentage you succeed in obtaining, interest rates can make a loan extremely difficult to pay back. If you aren’t 100% sure that you can handle the repayment schedule, then avoid borrowing altogether before getting trapped in more debt. If you absolutely need to borrow money and you’re dealing with bad credit, then you should take the time to look into different payout methods such as payday loans or cash advances. Despite the myths surrounding the latter methods, such are very different from traditional loans and might just be the most beneficial way for you to receive cash fast. How to Finance a Phone with Bad Credit? 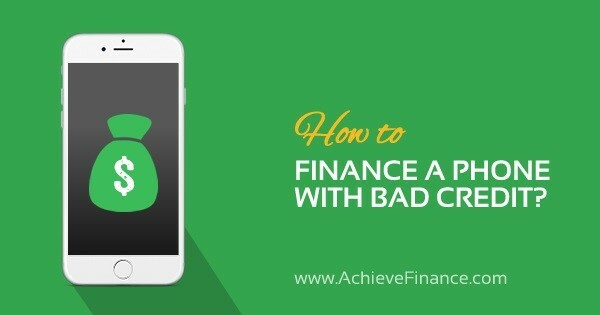 When you’re dealing with bad credit, it’s only natural to feel as though everything is much more expensive – all the way down to your cell phone. We understand that you need such a device though, so avoid the hassle and choose the best payday loans online for bad credit instead of cell phone financing of any kind! There was a time when having a cell phone was considered a luxury – to the contrary of today. Less than 20 years ago, only rich and powerful businessmen had the funds to pay for a mobile phone that didn’t fit in one’s pocket and literally costed a fortune. The cell phone has of course become more more affordable, however have you ever wondered how a bad credit score might influence your ability to obtain one? Prior to getting into the knitty-gritty in terms of how a poor credit rating can determine whether or not you qualify for a cellphone contract, let’s freshen up on what a credit score actually is. Simply put, a person’s credit score is a 3-digit number compiled from three major credit bureaus: Experian, Transunion and Equifax. Credit reports from all three of the later bureaus play on credit rating. The FICO Score is known as the most common credit score and ranges on a scale from 300 to 850. The more one’s score approaches 850, the greater chances one has at obtaining a loan – the same goes for interest rates too! Generally speaking, any credit score lower than 650 is considered poor. When situated within this range or lower, it becomes highly difficult to qualify for a loan – let alone a credit card application. In this case, many individuals choose to settle for bad credit loans or no-check loans, many of which come with outrageous fees and alarming interest rates. However, a loan isn’t the only element that a negative credit score can affect. In fact, credit verifications are also performed when attempting to purchase a vehicle, acquire an insurance plan and, as earlier mentioned, when obtaining a cell phone. Obtaining a Cell Phone: Does Credit Score have a Strong Impact? It is well known that when purchasing a new cell phone in-store, most providers perform a credit check. The latter is a measurement of how reliable an applicant is in paying back their debts and managing their credit. If an individual has a positive history of paying their bills, than the provider can determine that such will be the same for your cell phone payments. The same goes for the opposing situation: If you have a negative history in terms of paying your bills on time, then a provider may not be willing to take the risk in offering you a contract whatsoever. Although a poor credit score doesn’t necessarily go hand in hand with being irresponsible, many lenders see it this way and won’t take the time to hear you out on personal financial how your financial problems are a story of the past. Although this option might appear pricey on the spot, it actually comes with its own benefits as well. In this scenario, you can purchase a new phone on contract, however you must first pay a greater balance on the phone’s total price. Following this one and only heftier payment, you may be left with even small monthly amounts than someone with good credit and a credit card! The technique of paying upfront is nothing new. In fact, the latter can be beneficial when attempting to rent an apartment or sign for utilities. In certain cases, paying up front may also allow you to pay less overall – if willing to pay in totality and in cash! When it comes to your new phone, sure, this means you have to save a little more money before purchasing what you need. A good tip is to make sure that your new cell phone comes with a good warranty – you don’t want your worthy investment getting damaged! Paying up-front, however, isn’t always a possibility. If your credit rating is low enough, you may see yourself refused in terms of such a proposal. Certain providers may still offer you a prepaid option – beware though, this can often be much more expensive in the long run when compared to a traditional phone plan. That’s right, you read right! If you know you have a bad credit score and won’t pass a said credit check, then sometimes it’s simply best to withhold yourself, to refuse the credit check or at the least, request a soft check. In terms of a credit check from a phone provider, such is usually a hard-check and therefore, temporarily damaging to your credit score. By obtaining instead an online payday loan for bad credit, you’ll have higher chances of being capable of either paying for a certain amount of your cell phone up front or taking the prepaid route so avoid all the hassle, the hard-credit checks and start searching for the best! As one of the first major steps in a couple’s life, purchasing an engagement ring is nothing short of a big deal. 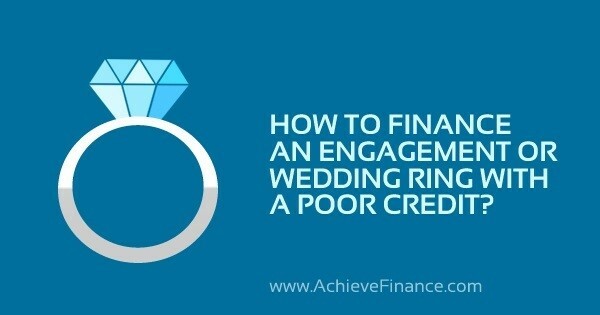 Of course, finding and buying the perfect engagement or wedding ring can be all the more difficult if you’re equally facing poor credit. Don’t spend a couple months of salary in order to pay for your ring up front and look into installment loans online for bad credit instead! As the popular song Single Ladies states: “If you like it, then you shoulda put a ring on it”. But how does one get a ring on her finger if your budget is tight and your credit score is poor? Don’t stress! We’ve got you covered with a few ways on how you can go about purchasing that perfect engagement or wedding ring anyway. Why not just pay for the engagement ring with a credit card, you’re asking yourself? The problem is, not everyone has access to the same credit level. For example, zero-percent APR credit cards are typically reserved for individuals with good credit – anything less than the latter, and you can pretty much consider yourself out of luck. On that note though, beware of zero-percent APR financing offered by certain jewelry stores – which is basically an in-store credit card. Although this may seem like a good idea at first, the truth of the matter is that doing so can actually worsen your financial situation. How is that so? Simply put, the amount you’re going to be charging is most likely very close to the card’s limit. Such a transaction will cause your credit utilization rate to increase greatly and in turn, reduce your credit score enormously until the amount is paid back in full. Furthermore, once the no-interest period comes to an end, if the engagement or wedding ring has not been fully paid for, you may be charged interest from the day of purchase! Sure, diamonds make for great pieces of jewelry; They shine in the light and sparkle in the sun. However, it’s important to keep in mind that a diamond is not mandatory in terms of an engagement or wedding ring. In fact, diamonds have only been popularized more recently – so keep your eye out for different stones that don’t cost you a downpayment on a house! If you’re thinking about taking out a loan for bad credit in order to purchase an engagement or wedding ring, then it’s important to ensure that you choose an installment loan from a valid and trustworthy lender. You don’t want to get caught in a sticky financial situation later, either! For example, if you’ve had a previous experience with a lender who didn’t report on-time payments to credit bureaus, didn’t provide a simplistic summary of your loan terms or didn’t offer long term payment options in order to cut back on monthly payments – you should definitely reconsider borrowing from them a second time. Ultimately, you should always keep in mind that in order to get engaged, you don’t actually need an engagement ring – let alone an extremely expensive diamond and gold plated one. Start married life off on the right foot and purchase an engagement ring that is well within your budget! You can find more tips on planning a wedding here: How to Plan a Wedding on a Small Budget.